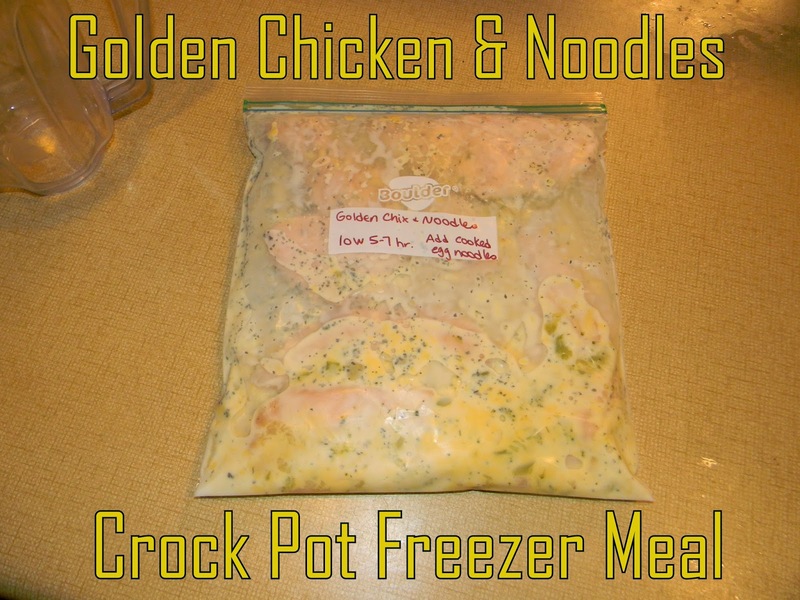 The crock pot freezer meals I made a few weeks ago are running out. =( I have another list of some that I want to try, but it will probably be a few more weeks before I get them all prepared. Today's recipe is golden chicken & noodles. I made this the other day, but we ended up going shopping and just ate dinner out so I threw it into the fridge and just warmed it up the next night. It was delicious. On cooking day, just dump bag into crock pot and cook on low for 5-7 hours. Cook pasta al dente' and mix in before serving.